December 2nd, 2018 Bobby's News, Bobby's Roles, Featured Comments Off on Wings needs your support to fly!!! Bobby’s latest project ‘Wings’ is a new short set in WW2. Bobby plays Robert, a young family man sent off to war, leaving his wife, Audrey, and young son behind. As a member of the Women’s Land Army, Audrey falls in love with one of the other Land Girls and their relationship blossoms for the duration of the war. However, when the war is over and the men return, so too does normality, and Audrey and Dora’s love must go no further. The story then picks up in present day… Audrey is brought into her new retirement home by her children and grandchildren. And who should be in the chair beside her, but the woman she had fallen in love with all those years ago. With equal marriage newly legislated, the women can finally show each other the commitment they longed for in their younger days. 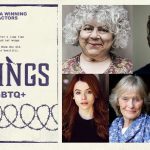 ‘Wings’ is a film in support of Gay Rights, which is particularly keen to tell the story of women in a period when being gay was widely unaccepted. It aims to give a voice to the once voiceless characters of our past! And this is where YOU come in… in order to ensure the film’s success, ‘Wings’ has launched a Kickstarter Campaign to provide the funds needed to make it the best it can be. If you can help, please visit here to donate; there are lots of gifts up for grabs, including a copy of the film on the day it is released and a signed poster by Bobby himself! Another way in which you can support is sharing the Kickstarter link on social media. 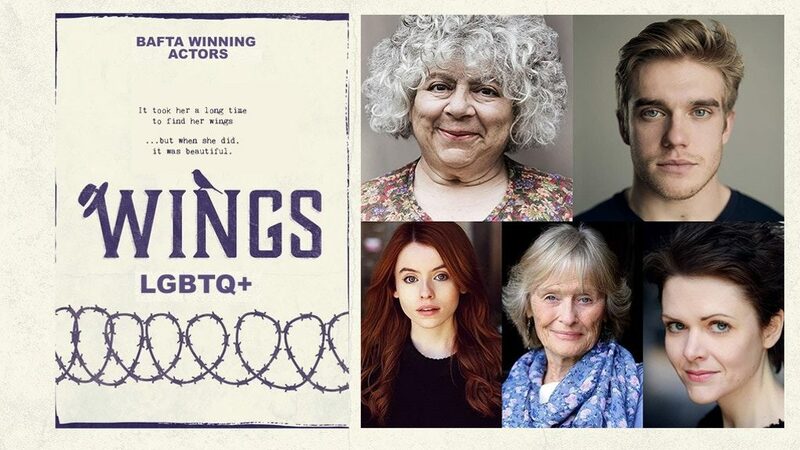 Please also support the film by following them on Twitter (@FindYourWings18) and Instagram (@wings_thefilm) to keep up to date with all things ‘Wings’! January 19th, 2018 Bobby's News Comments Off on New Year, more Bobby. Last year was an incredible year for Bobby’s career, seeing him in ‘Dunkirk’, a major feature film alongside some of Britain’s best up and coming actors, such as Harry Styles and Fionn Whitehead, and also some of Britain’s most acclaimed actors such as Tom Hardy. Bobby also went on to appear in ‘Access All Areas’ as Spiritual Simon a hippie, with Ella Purnell, exclusively for Amazon Prime Video. 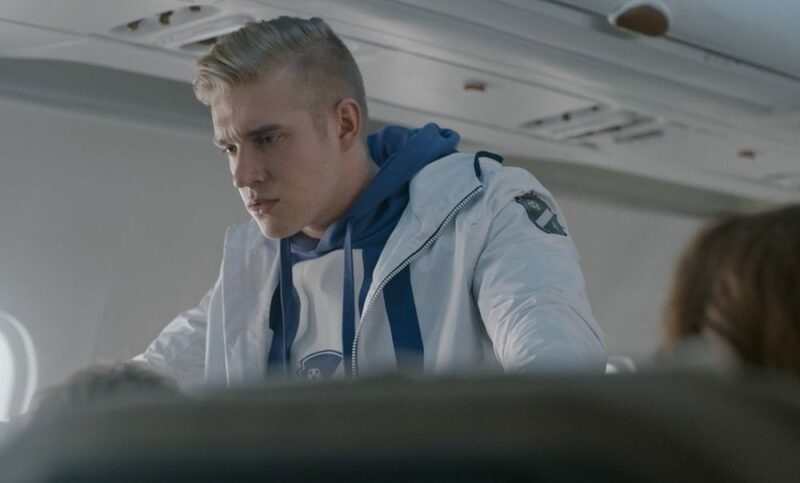 In addition, 2017 saw Bobby feature in the American film ‘Vikes’, as Warren Turdslinger a high school jock. On top of that, Bobby appeared in BBC three’s final series of ‘Uncle’ as Josh, the leader of a boyband, and finally he appeared in itv’s hit show ‘Unforgotten’ as Nathan an I.T technician. Reflecting on 2017, Bobby was lucky enough to have the opportunity to be involved with many charity events for Great Ormond Street Hospital, including the Santa dash and Christmas party. You can also check out what Bobby’s been up to in his latest interview with blogger Nadia Catherine. 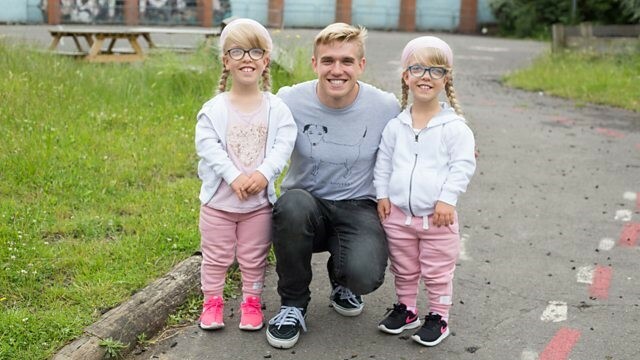 But don’t worry about getting your next Bobby fix, as he will be back on your screens this Saturday alongside CBBC’s very own Ed Petrie in ‘All Over the Place: Asia Part 2’ episode 3 at 9 am on CBBC. 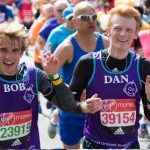 Following the success of the London marathon last year, Bobby has decided to raise money again for Great Ormond Street Hospital (GOSH) by running two marathons in two weeks -the Brighton marathon on the 9th April and the London marathon on the 23rd April, to donate visit Bobby’s fundraising page http://uk.virginmoneygiving.com/BobbyLockwood and if you donate don’t forget to gift aid your donation, so that GOSH benefit from an extra 25p for every £1 that is donated. 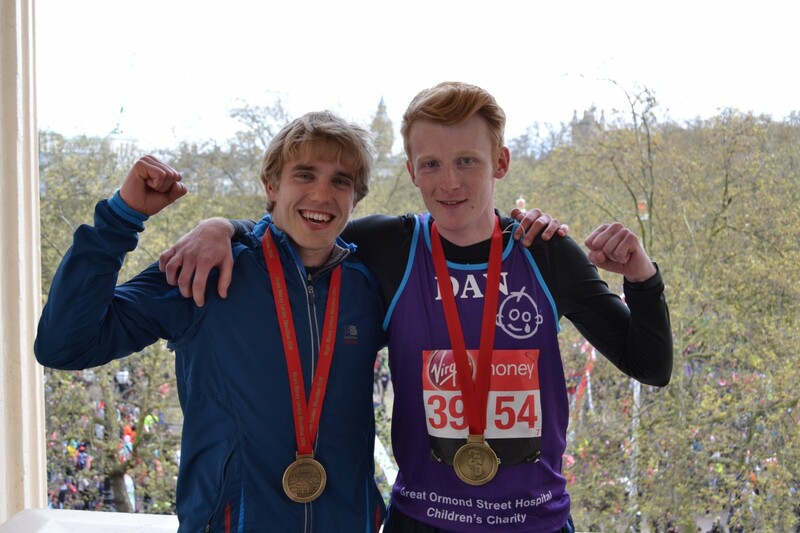 Last year Bobby, along with his friend Dan, managed to raise £2,796.13, for GOSH. In London, Bobby is aiming to beat his time, of 4 hours and 32 minutes, from the London marathon last year. So hopefully with your continued support, Bobby will be able to raise just as much as what was raised last year. All your donations, no matter how big or small, will help sick children. The money raised will enable GOSH to provide world-class care for its young patients and their families and to pioneer new treatments & cures for childhood illness. Even if you can’t donate show your support by sharing the link so that others may be able to support GOSH and their great work. The long awaited Mum’s List film, based on the best-selling novel of the same name, will be released on the 25th November 2016 in cinemas across the UK. 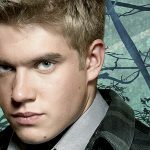 See Bobby on the big screen as Matt, as he stars opposite Rafe Spell, who plays Singe. Mum’s List tells the story of Kate, a mother dying of incurable breast cancer. When Kate realises she only has days to live she creates a list for her husband (Singe) to follow with their two sons. Mum’s List was filmed in Somerset. Do you want to be one of the first people to own and to see Honey 3? Well you can pre-order it now from retailers and get it the day of the release (19th September 2016). Bobby has also been busy filming for BBC’s show Uncle, look out for his character Josh when series 3 airs early next year, and he has also filmed, as the character Nathan, for itv’s Unforgotten, which airs in October. July 21st, 2016 Bobby's News Comments Off on Wickford’s Got Talent! 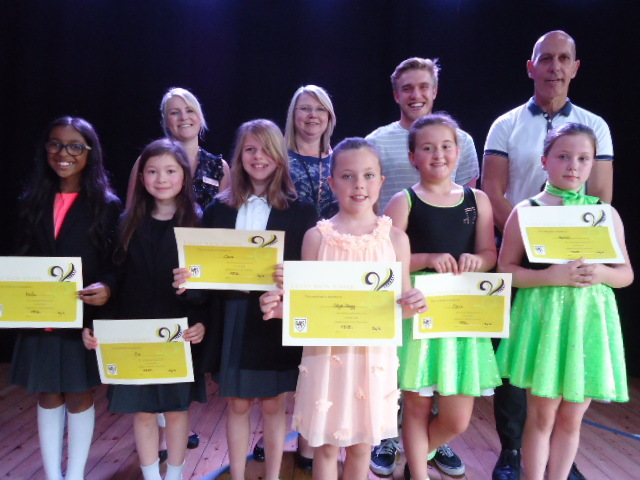 Bobby had a fun and busy day today judging the Wickford Junior school’s talent show. Bobby grew up in Wickford and it was great to be back home and helping kids showcase their talents. Bobby will be taking part in CBBC’s new show ‘Twin it to win it’ on Thursday 28th July at 4:10pm. The series is about twins Amelia and Imogen, who are preparing for the Dwarf Games. Bobby will be joining in with the discus event, with the girls, in episode 4 of the 5 part series. 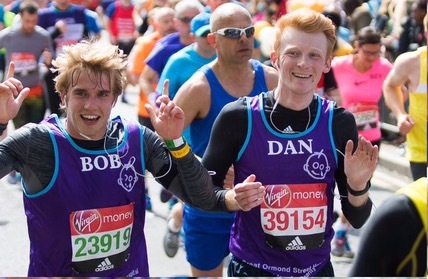 Thanks for all your support for Bobby and Dan on behalf of Great Ormond Street Hospital. 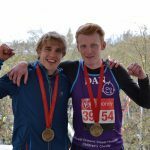 They have raised just over £1,570 and would love to reach their target of £4,000 for Great Ormond Street Hospital. Bobby completed the marathon in 4 hours and 32 minutes. If you haven’t already donated the guys would love your support, and they can’t thank you enough for everything you have been able to raise. If you haven’t already donated there’s still time go to Our Charity Fundraising Page or text BLDO99 and the amount £(1-10) to 70070. The official trailer for Bobby’s new movie, ‘Honey 3’ has been now released. Bobby spent a few months in South Africa, filming it, and experiencing new challenges, learning hard choreography. Watch it here to find out a bit about his character ‘Laser’. Honey 3 Trailer from Jasmine-Rio on Vimeo.